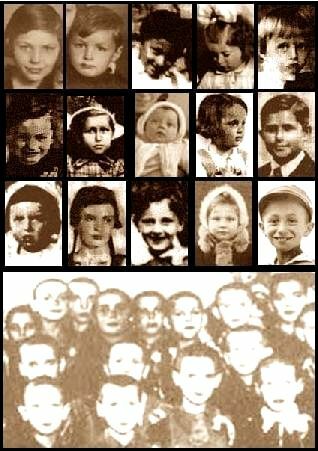 The racist murder of the innocent victims knew no bounds and if anyone was ever more an innocent victim, then it was the children who were sent to Treblinka. The official figure of victims killed at this camp is between 850,000 - 900,000, of which this total, children made up at least one third! 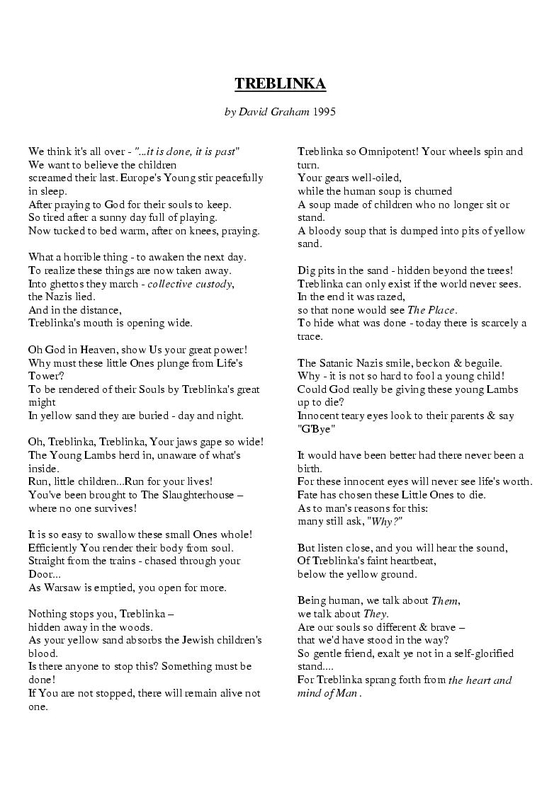 Therefore in Treblinka alone, the amount of children that were murdered there by the Nazis can arguably be derived at between, 280,00 to 300,000 (Yes, three-hundred-thousand!). 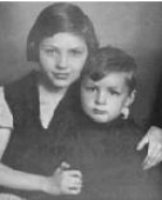 This is just a small testimony of the fate of two children of whom we have a names connected to innocent faces. How many could have been teachers...? How many could have been artists...? How many could have been musicians...? How many could have been politicians...? How many could have been doctors...? how many could just have been a good friend! 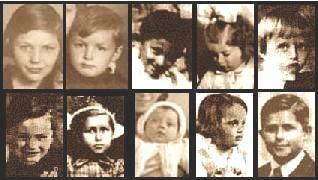 The following are all pictures of children who were murdered at Treblinka by the Nazis. and another two like them. . . So we have five out of the 300,000 children that were murdered. This amounts to ten out of 300,000 children that were murdered. Now we have fifteen of the 300,000 children that were murdered. This amounts now to thirty of 300,000 children that were murdered. 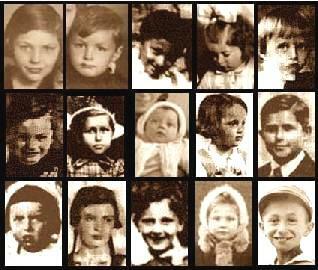 multiply this group of 30 innocent children with 10,000.
that were murdered at Treblinka... by the Nazis! 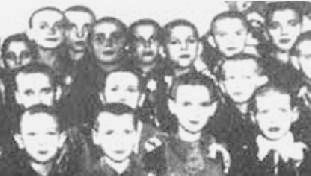 No children survived Treblinka as they were immediately sent to their death, either being shot at the "Lazarett" (the execution pit disguised as a field hospital) or together with the adults in the gas chambers. In the gas chambers they went through a particular horrifying death, as the children were usually the last to die, as due to the fact that youngsters' blood contain more oxygen. According to eyewitness accounts, some children survived the painful ordeal in the gas chambers, but no mercy was shown as the Nazis shot them in the head.